Posted by WayneJay on Fri Dec 22 18:14:23 2017, in response to Re: MABSTOA Bus Roster 1/6/74, posted by Far Rockaway A Train on Fri Dec 22 03:37:18 2017. 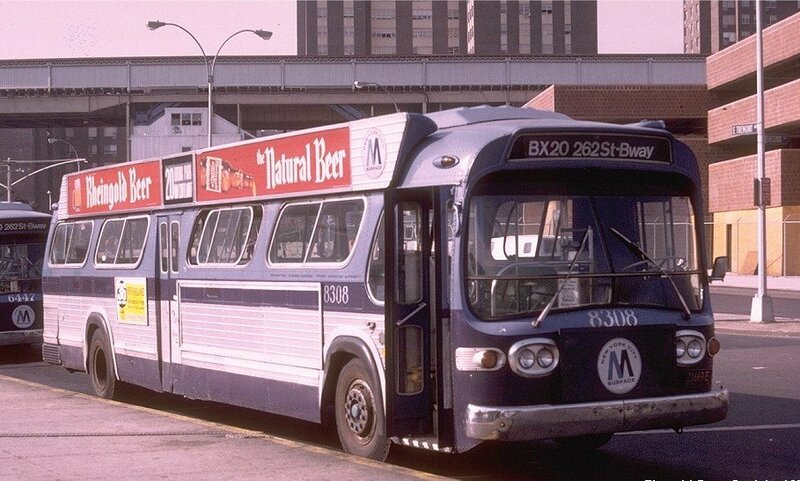 The old Bx20 (now Bx9) was definitely a KB route as it is today. 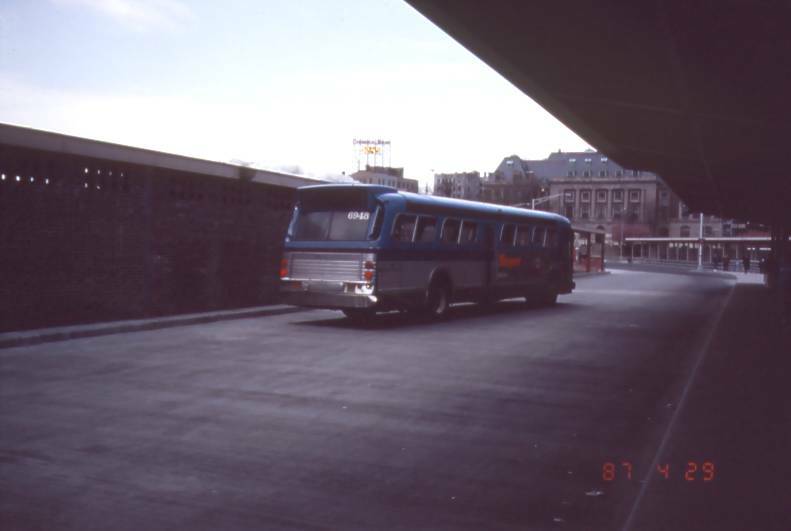 The olny Bronx route that operated from AMS was the Bx34 (now Bx6). Posted by Far Rockaway A Train on Fri Dec 22 19:55:11 2017, in response to Re: MABSTOA Bus Roster 1/6/74, posted by WayneJay on Fri Dec 22 18:14:23 2017. Somewhere along the line it shared the same equipment as the M100. According to this roster the 8400s did not run out of Kingsbridge and I never saw 8400s on the Bx1, Bx2, Bx3, Bx41, etc which operated out of Kingsbridge. Posted by WayneJay on Fri Dec 22 22:06:52 2017, in response to Re: MABSTOA Bus Roster 1/6/74, posted by Far Rockaway A Train on Fri Dec 22 19:55:11 2017. For most of the 1970s Kingsbridge had 8301-8376 and AMS had from there and into the lower 8400 series. At the same time KB also had 4813-4832, 4860-4919. Posted by W.B. on Fri Dec 22 22:32:54 2017, in response to Re: MABSTOA Bus Roster 1/6/74, posted by Far Rockaway A Train on Fri Dec 22 19:49:03 2017. 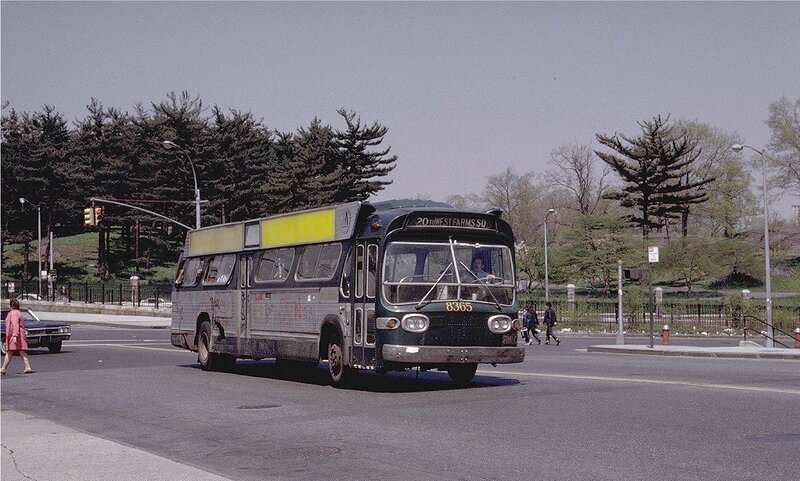 For years the Bx30 (149th Street Crosstown) ran out of AMS (as of 1968 and 1970) before being reassigned circa 1973-74 to OFS. I've wondered, after 'TB' was broken up into M34, M35 and Bx21 in mid-1974, which depot(s) each route was assigned. Posted by northshore on Fri Dec 22 23:04:32 2017, in response to Re: MABSTOA Bus Roster 1/6/74, posted by W.B. on Fri Dec 22 22:32:54 2017. 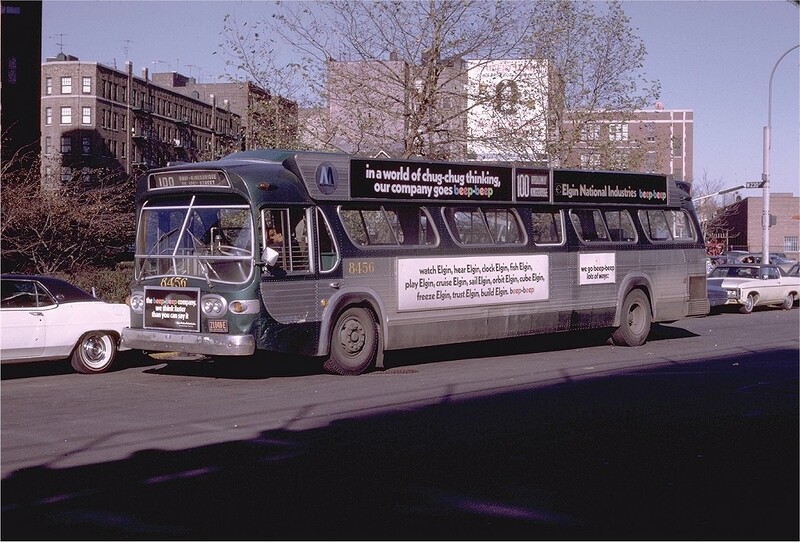 There were always the same 3 Triboro routes, but they all had one designation: TB. Now they had 3 separate numbers. It did not affect their operations. Posted by WayneJay on Fri Dec 22 23:37:20 2017, in response to Re: MABSTOA Bus Roster 1/6/74, posted by Far Rockaway A Train on Fri Dec 22 19:49:03 2017. Here's some pics from the Bustalk.net photo gallery with KB-assigned 8300 series 5303s on the Bx20. None of these are my photos. Posted by W.B. on Sat Dec 23 03:11:14 2017, in response to Re: MABSTOA Bus Roster 1/6/74, posted by WayneJay on Fri Dec 22 23:37:20 2017. 8456 was part of AMS until the 1972 opening of HUD. I know the first 75 or so A/C batwings were scattered amongst the Bronx depots. The lowest-numbered A/C batwing at AMS was either 8376 as of 2/70, or 8372 as of 1/1/73 and 1/6/74. In the 2/70 period, WF had 8301-8303, COL had 8304-8307, and KB had 8308-8375; by the 1973 and 1974 lists, 8301-8371 were all at KB. (6447 in the first pic was also a KB bus.) I was asking about the AMS route assignments in the 1973-74 period, and I saw no indications of any buses except M100 and M104 by that period. There was also a pic of a Bx30 from 1974, running a batwing (either in the 6706-6735 or 8695-8780 range) from OFS. Bx30 was out of AMS as of 4/68 and 2/70. Posted by W.B. on Sat Dec 23 03:13:56 2017, in response to Re: MABSTOA Bus Roster 1/6/74, posted by northshore on Fri Dec 22 23:04:32 2017. So after 7/1/74, would there for a time have been two Bronx routes (Bx21 Bronx-Astoria via Triboro Bridge and Bx30 149th Street Crosstown) assigned out of Manhattan-based depots? Posted by northshore on Sat Dec 23 09:23:08 2017, in response to Re: MABSTOA Bus Roster 1/6/74, posted by W.B. on Sat Dec 23 03:13:56 2017. I do not know the depot assignments of the Triboro routes or the Bx30. Posted by WayneJay on Sat Dec 23 20:02:49 2017, in response to Re: MABSTOA Bus Roster 1/6/74, posted by W.B. on Sat Dec 23 03:11:14 2017. I think the cutoff between KB and AMS 8300s got kinda murky after a few of them were converted to 2 X 2 high-back seating for express service on the X61 which was based at KB. I agree that KB eventually had 8301-8371. Later I do recall 8372 and 8374 coming to KB. At that point 8367, 8368, 8370, 8373, 8375 and 8376 had be converted for express service. Posted by Dyre Dan on Sun Dec 24 10:59:15 2017, in response to Re: MABSTOA Bus Roster 1/6/74, posted by Far Rockaway A Train on Fri Dec 22 19:49:03 2017. Meaning the current Bx9, not the current Bx20 which is a part-time route from Inwood to Riverdale Ave. What was the real reason for that renumbering (along with others like Bx38 to Bx3), and when did it take place? Posted by WayneJay on Sun Dec 24 14:32:34 2017, in response to Re: MABSTOA Bus Roster 1/6/74, posted by Dyre Dan on Sun Dec 24 10:59:15 2017. I think we're referring to the old Bx20 (current Bx9). At the time of the mass Bronx bus renumbering I heard that it was to simplify and reduce confusion. Not sure how that was to happen, but I believe it took place around early 1984, maybe a bit earlier. So much happened with some routes only being renumbered, some renumbered and changes, some combined with others, new service and discontinued routes. Then... many remained as they were. Many changed depot assignments as well. Posted by transitbuff on Tue Dec 26 12:30:47 2017, in response to Re: NYCTA Bus Roster 1/1/73, posted by W.B. on Wed Sep 13 05:31:03 2017. I remember OHS for 100th St.
Posted by transitbuff on Tue Dec 26 12:56:26 2017, in response to MABSTOA Bus Roster 1/6/74, posted by Bill from Maspeth on Fri Oct 29 21:12:18 2010. Does anyone know if 4500-4505 were classified as NARROW buses? Posted by WayneJay on Tue Dec 26 13:42:56 2017, in response to Re: MABSTOA Bus Roster 1/6/74, posted by transitbuff on Tue Dec 26 12:56:26 2017. No, they were 102-inch wide like all other NYCTA purchases, and basically OA's twin to TA's 6164-6199. Posted by W.B. on Tue Dec 26 18:03:56 2017, in response to Re: MABSTOA Bus Roster 1/6/74, posted by WayneJay on Tue Dec 26 13:42:56 2017. Actually, 4500-4505 were T6H-5310's, 102-inches wide like 'WayneJay' said, built for express bus service. The TA equivalent, I thought, would have been in the 6900's. Unless 6164-6199 were also earmarked for express buses . . .
Posted by WayneJay on Tue Dec 26 19:34:07 2017, in response to Re: MABSTOA Bus Roster 1/6/74, posted by W.B. on Tue Dec 26 18:03:56 2017. You're correct. The TA's 6901-6956 (which I failed to include on my last post) and those upper 6100 series were indeed GMC T6H-5310A for express service. Oddly enough in the 6900 group... 6948 was setup up with hard perimeter seating like it's T6H-5309A sisters. I wonder which model designation did it get. Posted by WayneJay on Tue Dec 26 21:55:54 2017, in response to Re: MABSTOA Bus Roster 1/6/74, posted by B53RICH on Tue Dec 26 21:22:00 2017. It (6948) definitely went to FI at some point. There's a pic of it on Bustalk signed for the B37. Was it at FLU when 6200-6229 were there? Posted by B53RICH on Tue Dec 26 22:25:12 2017, in response to Re: MABSTOA Bus Roster 1/6/74, posted by WayneJay on Tue Dec 26 21:55:54 2017. Around that time, can't say which year(s). Posted by Catfish 44 on Wed Dec 27 09:37:35 2017, in response to Re: MABSTOA Bus Roster 1/6/74, posted by B53RICH on Tue Dec 26 21:22:00 2017. 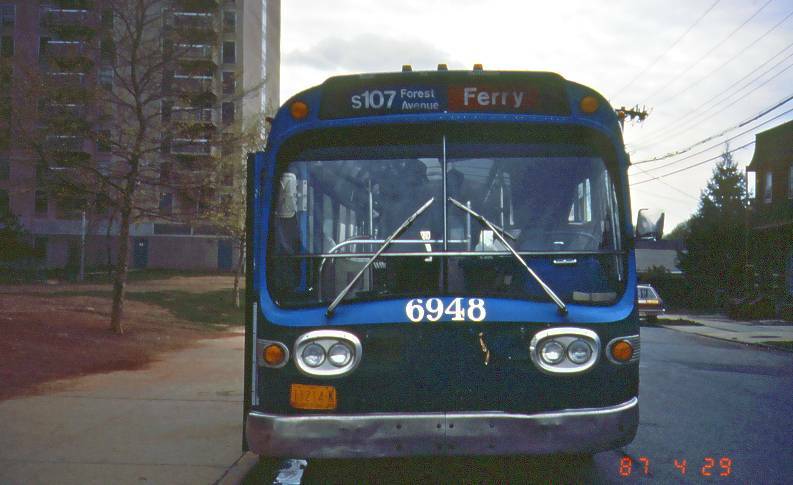 One of those 69xxs was at ulmer park around 1991 or 1992. Rode it home from school one day and we all enjoyed the express bus seating. It was loud as anything. Probably had an exhaust leak. Posted by WayneJay on Wed Dec 27 22:36:11 2017, in response to Re: MABSTOA Bus Roster 1/6/74, posted by Far Rockaway A Train on Wed Dec 27 14:36:49 2017. You may be right. In the case of the Bx20... It's one that I remember extremely well as it was one of the two routes (the other being WF's Bx36) I could see from our apartment as a child. It was also the route we rode most often. Posted by transitbuff on Thu Dec 28 17:03:27 2017, in response to Re: MABSTOA Bus Roster 1/6/74, posted by transitbuff on Tue Dec 26 12:56:26 2017. Posted by northshore on Thu Dec 28 18:26:45 2017, in response to Re: MABSTOA Bus Roster 1/6/74, posted by transitbuff on Tue Dec 26 12:56:26 2017. 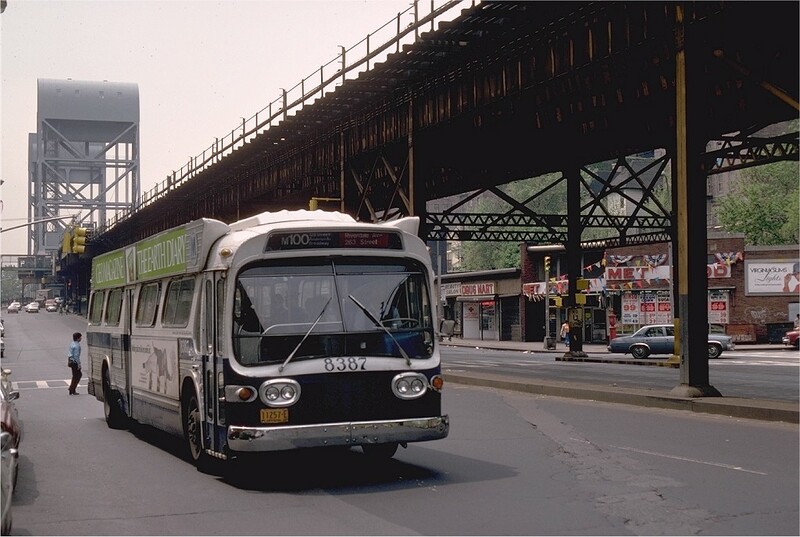 The last NYCTA narrow (96" wide) were the 1958 GMC TDH-5106's 9000-series, EXCEPT for the 1980 Flxible Grumman 870's ordered by NYC DOT for Ave B & East BDWY but delivered to NYCTA after Ave B went out of business. Posted by BLE-NIMX on Thu Dec 28 20:23:08 2017, in response to Re: MABSTOA Bus Roster 1/6/74, posted by B53RICH on Tue Dec 26 21:22:00 2017. Posted by B53RICH on Thu Dec 28 20:54:25 2017, in response to Re: MABSTOA Bus Roster 1/6/74, posted by BLE-NIMX on Thu Dec 28 20:23:08 2017. Staten Island also. Thanks for the photos. Posted by BusRider on Thu Dec 28 21:24:17 2017, in response to Re: MABSTOA Bus Roster 1/6/74, posted by B53RICH on Thu Dec 28 20:54:25 2017. Are any of you retired NYC Bus Drivers from the 1970's? Posted by B53RICH on Thu Dec 28 21:58:10 2017, in response to Re: MABSTOA Bus Roster 1/6/74, posted by BusRider on Thu Dec 28 21:24:17 2017. I'm just a bus fan. I'm not that old to be retired yet, LOL! Posted by WayneJay on Thu Dec 28 22:02:53 2017, in response to Re: MABSTOA Bus Roster 1/6/74, posted by BusRider on Thu Dec 28 21:24:17 2017. Like B53RICH... I'm just a fan, and not quite that old. Posted by WayneJay on Thu Dec 28 22:40:43 2017, in response to Re: MABSTOA Bus Roster 1/6/74, posted by W.B. on Sat Dec 23 03:13:56 2017. 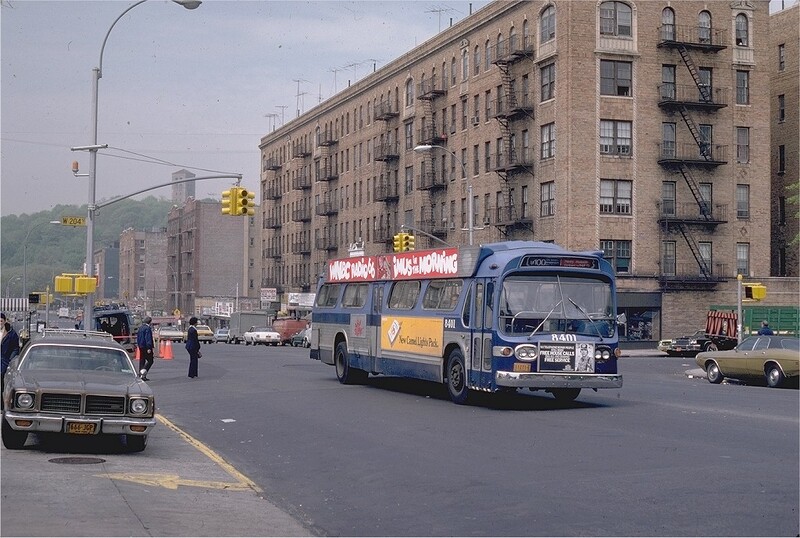 My earliest recollection of the Bx30 149th St Crosstown is in the late 70s and it operated out of OFS. I never did see the old Bx21 when it operated. Posted by W.B. on Thu Dec 28 23:25:53 2017, in response to Re: MABSTOA Bus Roster 1/6/74, posted by WayneJay on Thu Dec 28 22:40:43 2017. Would anyone know - and I may've asked this before - at what point between 1970 and 1974 was Bx30 transferred, in terms of where assigned, from AMS to OFS? I know the latter was where Bx30 was in the second half of the decade because I saw old front roll signs where it was alongside M1, M2, M7 and M10. Maybe after HUD opened and many rejugglings of bus routes by depot took place afterward? And which other routes, in the 1974 period, would have been at OTS aside from M3, M4 and M5? And at AMS besides M100 and M104? Posted by WayneJay on Fri Dec 29 00:09:14 2017, in response to Re: MABSTOA Bus Roster 1/6/74, posted by W.B. on Thu Dec 28 23:25:53 2017. It definitely seems that lots of changes took place throughout MaBSTOA in '74. I was just 8-9 y/o old at the time. I do remember there was a in the late 70s/early 80s when AMS had only the M100 and M104, then it later rec'd the Bx34 (now Bx6) from KB. Posted by Catfish 44 on Fri Dec 29 11:57:24 2017, in response to Re: MABSTOA Bus Roster 1/6/74, posted by BLE-NIMX on Thu Dec 28 20:23:08 2017. Is that the correct date? Posted by Bill from Maspeth on Fri Dec 29 11:59:51 2017, in response to Re: MABSTOA Bus Roster 1/6/74, posted by BLE-NIMX on Thu Dec 28 20:23:08 2017. 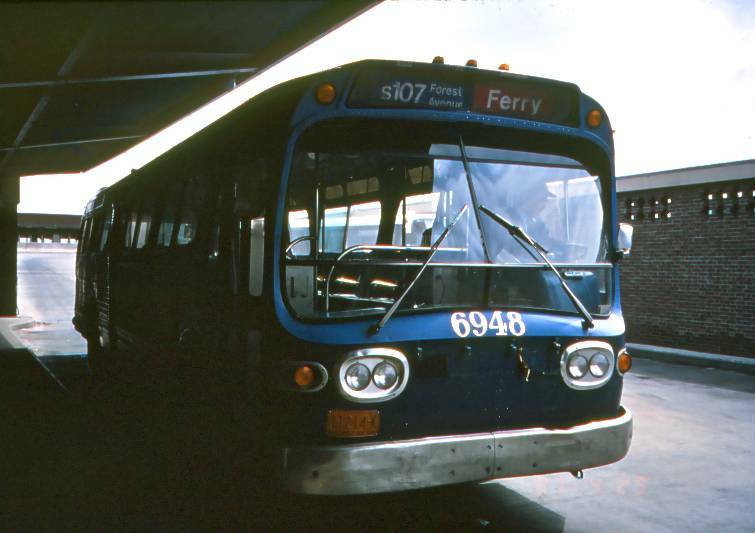 I saw 6948 once at Manhattan/Nassau on the B61, assigned to Fifth Ave. right after XTown depot closed. I always wondered why (if) that bus ever had soft seats. Posted by BLE-NIMX on Fri Dec 29 11:59:57 2017, in response to Re: MABSTOA Bus Roster 1/6/74, posted by Catfish 44 on Fri Dec 29 11:57:24 2017. Posted by Catfish 44 on Fri Dec 29 12:12:15 2017, in response to Re: MABSTOA Bus Roster 1/6/74, posted by BLE-NIMX on Fri Dec 29 11:59:57 2017. I didn't know there were any buses still in that livery by then. Posted by BLE-NIMX on Fri Dec 29 20:06:48 2017, in response to Re: MABSTOA Bus Roster 1/6/74, posted by Catfish 44 on Fri Dec 29 12:12:15 2017. Kinsgridge may ha 've still been using 7161 and some other ENY flxibles at that time as well. Posted by W.B. on Sat Dec 30 01:56:28 2017, in response to Re: MABSTOA Bus Roster 1/1/73, posted by B53RICH on Wed Dec 20 22:16:50 2017. Posted by Catfish 44 on Sat Dec 30 13:40:14 2017, in response to Re: MABSTOA Bus Roster 1/6/74, posted by BLE-NIMX on Fri Dec 29 20:06:48 2017. When was the last blue bus then? Posted by pelham Exp on Sun Dec 31 12:43:19 2017, in response to Re: MABSTOA Bus Roster 1/6/74, posted by Catfish 44 on Fri Dec 29 12:12:15 2017. Posted by Catfish 44 on Sun Dec 31 14:26:40 2017, in response to Re: MABSTOA Bus Roster 1/6/74, posted by pelham Exp on Sun Dec 31 12:43:19 2017. So in '87 there were still blue buses bombing around. How about in '88 or '89? Posted by BLE-NIMX on Tue Jan 2 23:57:10 2018, in response to Re: MABSTOA Bus Roster 1/6/74, posted by Catfish 44 on Sat Dec 30 13:40:14 2017. Posted by Catfish 44 on Wed Jan 3 23:15:17 2018, in response to Re: MABSTOA Bus Roster 1/6/74, posted by BLE-NIMX on Tue Jan 2 23:57:10 2018. The 77 Flx were scrapped en made in 91 92 when the 8xxx RTS came in? Posted by W.B. on Sun Apr 22 04:26:12 2018, in response to NYCTA Bus Roster 1/1/74, posted by Bill from Maspeth on Fri Oct 29 19:49:47 2010. 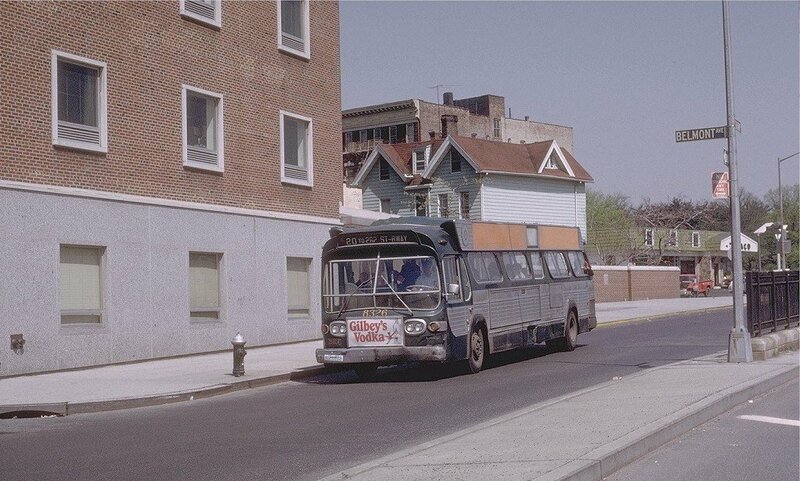 Just curious: At ENY, what would the number range of the 16 buses from the 1960 TDH-5301 order have been? Posted by W.B. on Sun Apr 22 06:05:21 2018, in response to Re: NYCTA Bus Roster 1/1/76, posted by Bill from Maspeth on Sun Oct 31 22:51:10 2010. Wasn't it around this time that the first MaBSTOA fishbowls (3301-3555) were retired? They too, by the mid-'70's, looked about as beat-up as Surface Transportation System's fleet during that company's 1949-56 receivership. Posted by W.B. on Sun Apr 22 06:07:19 2018, in response to Re: NYCTA Bus Roster 1/1/76, posted by B53RICH on Fri Nov 5 17:59:40 2010. Conversely, in the early '80's some NYCTA Flxible 4000's and GMC 8000's, 8800's and 4300's-4400's saw some service on MaBSTOA routes (at least one Flxible 4000 series held down the M104 route out of Amsterdam). Posted by WayneJay on Mon Apr 23 10:10:24 2018, in response to Re: NYCTA Bus Roster 1/1/76, posted by W.B. on Sun Apr 22 06:07:19 2018. I do remember that a bunch of TA GMC 1000/2000 series buses came over to OA.